We want to specially welcome you to NIFAAS official webpage. NIFAAS was established to serve as a platform for agricultural extension and advisory service providers in Nigeria. But even though its jurisdiction is Nigeria, it is affiliated with the African Forum for Agricultural Advisory Services (AFAAS), Network of Agricultural and Rural Advisory Services of West and Central African countries (NARAS_WCA), National Agricultural Extension and Research Liaison Services, and the Global Forum on Rural Advisory Services (GFRAS) and other Organizations and Networks with similar goals and objectives. Agriculture has been identified by the Heads of States of the African Union as the key sector for achieving national economic growth on the African continent and meeting the Millennium Development Goal (MDG) targets. 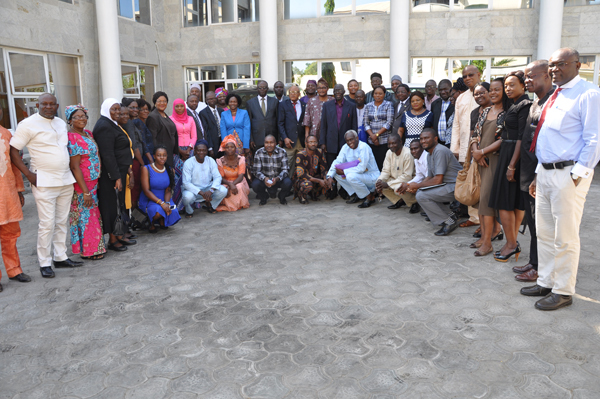 Motivated therefore by their determination to improve agricultural productivity, reduce poverty and improve the quality of life especially rural agricultural communities, this group of agricultural and agricultural extension professionals came together to form NIFAAS. The framework of operation provides a vision for improving agricultural productivity through enabling and accelerating innovation and technology adoption, as well as advising policymakers on agricultural productivity issues. The framework also covers programmes and projects for improving investment in agriculture, developing institutional capacities and providing effective farmer-support systems. The NIFAAS Secretariat shall be situated at a location decided by the General Body but now, temporarily located at the NAERLS/ABU, Zaria, as agreed at the NIFAAS launch in the Fadama III Conference Room, Abuja, July 23rd 2011. It shall maintain the NAERLS/ABU, Zaria Secretariat until it has become financially independent and able to establish its own Secretariat as an independent and registered regulatory body. The overall goal of NIFAAS is to develop and promote agricultural extension and advisory services to have sufficient capacity to effectively support value chain actors towards increasing agricultural productivity, food security, and improved livelihoods in a sustainable manner for all Nigerians. The specific goals are to bring together agricultural Advisory Service (AS) providers and stakeholders in Nigeria; promote the development of Agricultural Advisory Services (AAS) at the national level, linking AAS stakeholders with CAADP processes and other Regional Networks (such as the Network of Agricultural and Rural Advisory Services in West and Central Africa ), and International Networks involved in AAS, the African Forum for Agricultural Advisory Services (AFAAS) and the Global Forum for Rural advisory Services (GFRAS); to share experiences and lessons; and to promote the exchange of information on best global practices in agricultural extension and advisory services, among others. Please feel free to make your comments available to us so as to further improve the website as a platform of information exchange. Also, if you have any question, especially with regard to admission and membership, you can read the constitution section of this site and/or write us.